This little before and after in Annie Sloan Aubusson is for my own home 🙂 I had a great day last week at the thrift store. 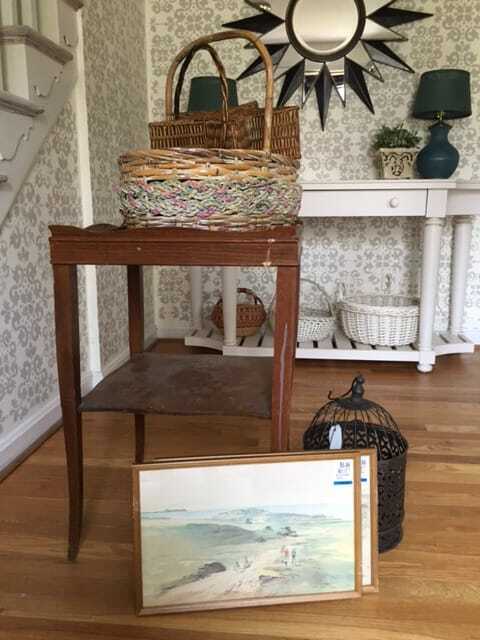 I bought two unusual prints and a very sweet little table and a few other interesting items. 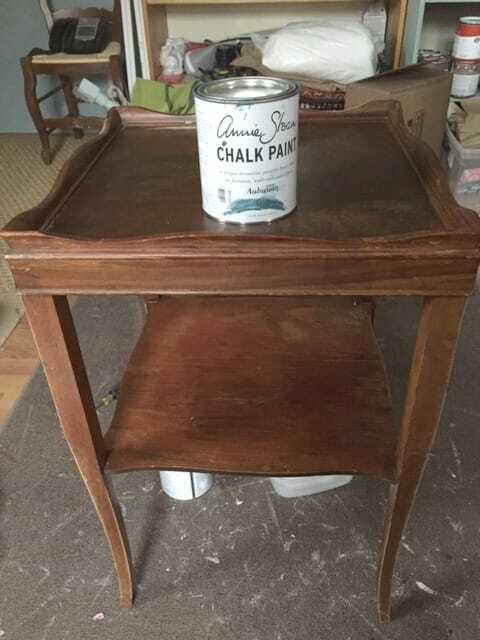 The table has pretty scalloped lines and I knew it would look great with a coat of paint. 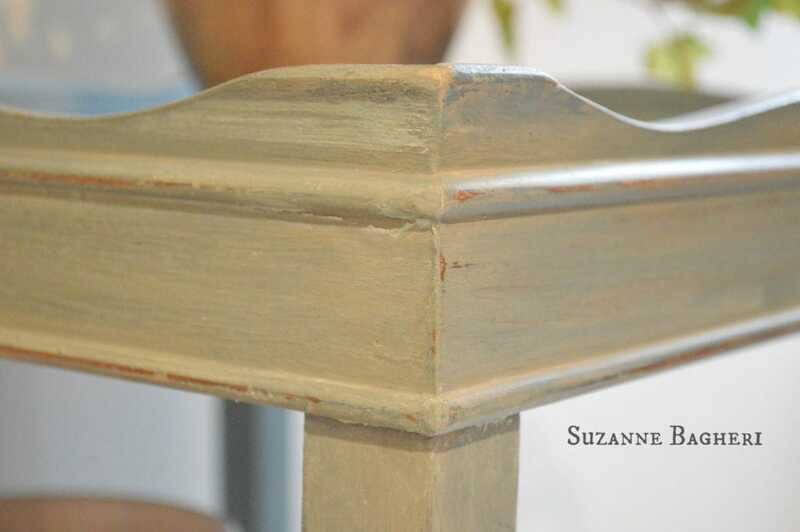 I went with Annie Sloan Aubusson, added a wash of Coco and a coat of clear wax (AS) with Provence mixed in. For the final coat, I applied one coat of plain clear wax. The combo of Aubusson and Coco creates a very soft blue. 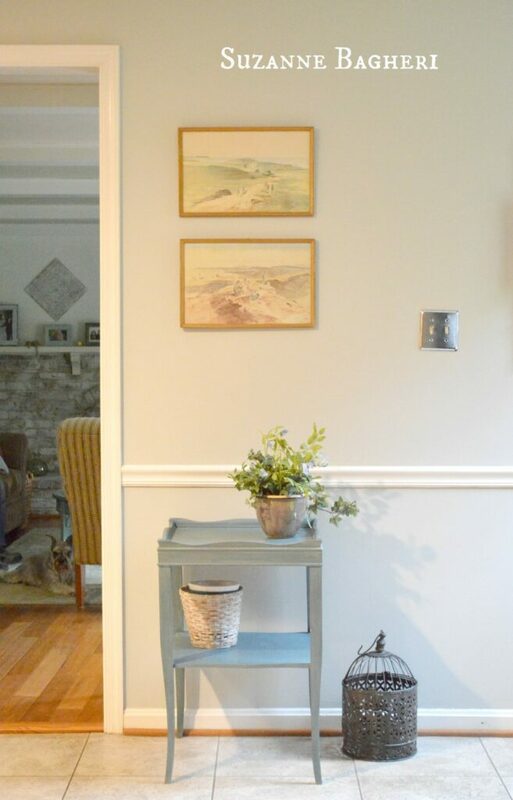 I moved the vintage secretary desk that had been in my kitchen (Vintage Secretary in Driftwood) into my dining room and decided to add the table and prints in its place. The table and prints are perfect in the spot and allow better access to our back kitchen door. 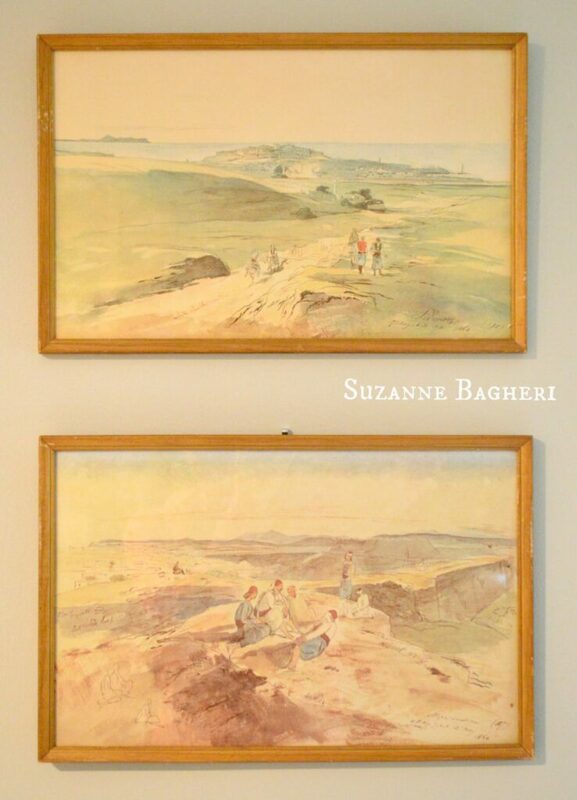 The prints are fantastic – I just had to use Windex to give them a good clean and up on the wall they went. The prints were $4 each and the table was $6. Not too shabby! This looks so very charming! Love the prints with the table color. If I understand correctly, you combined Province paint with clear wax. I have not heard of that technique. Can you explain that a bit, please? Thank you, Jeannie. 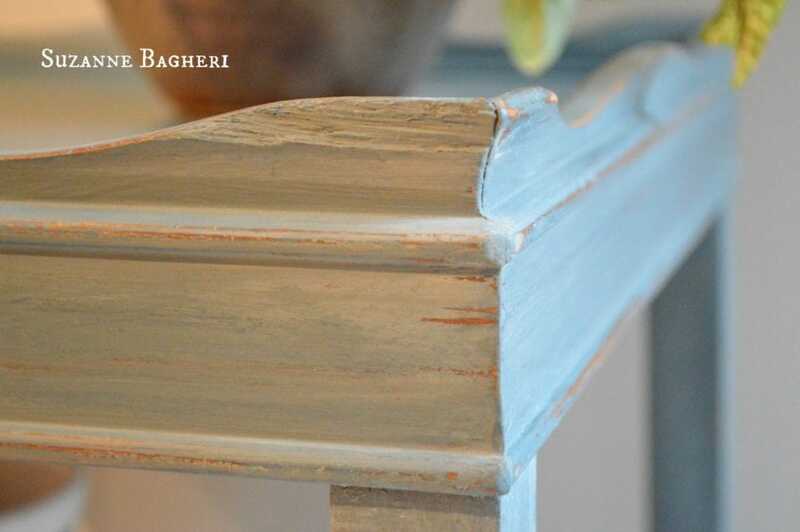 Yes, you can add paint to clear wax and apply it over your finish. It gives it a little of the color and then I add just clear wax over that. 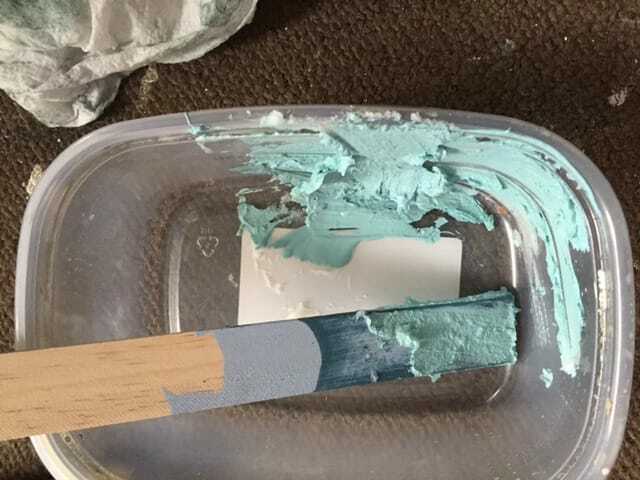 Just a little bit of paint mixed into the wax. I just love aubusson blue and all those complimentary colours… it’s definitely my kind of colour…. looks great on that little table. Thanks so much, Maxine! Aubusson is one of my favorite AS colors as it is the perfect blue/green. Have a wonderful weekend! 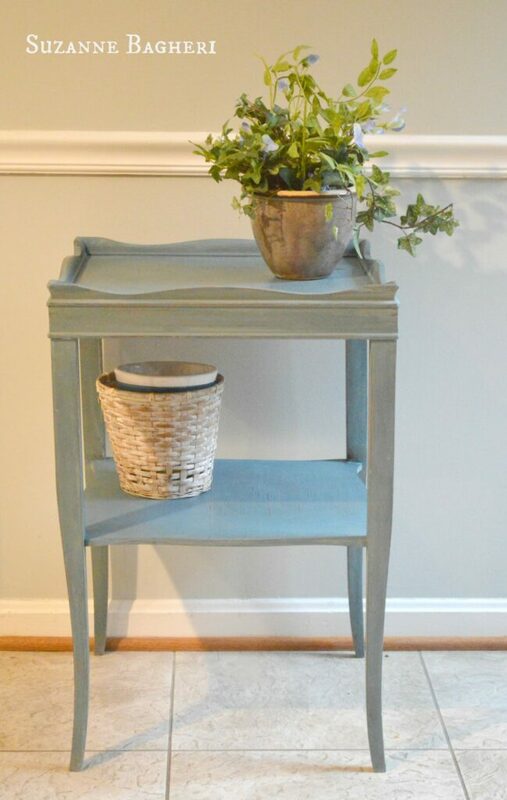 The table is very cute and the color you mixed is gorgeous. The prints pick up the color perfectly. You really scored on these finds for sure. Thanks, Debbie! It was a great score! 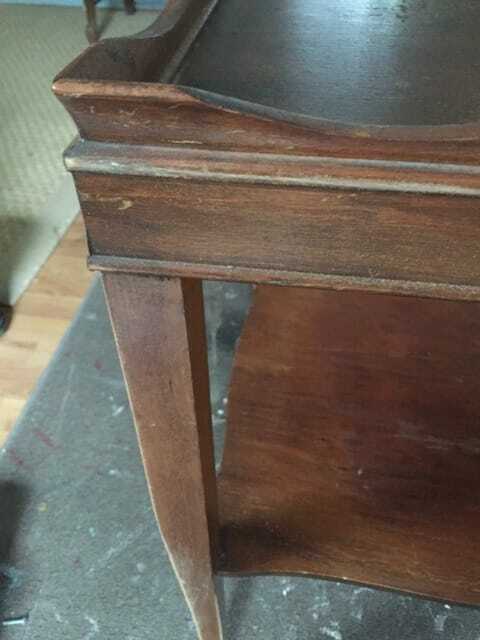 What a sweet little table. 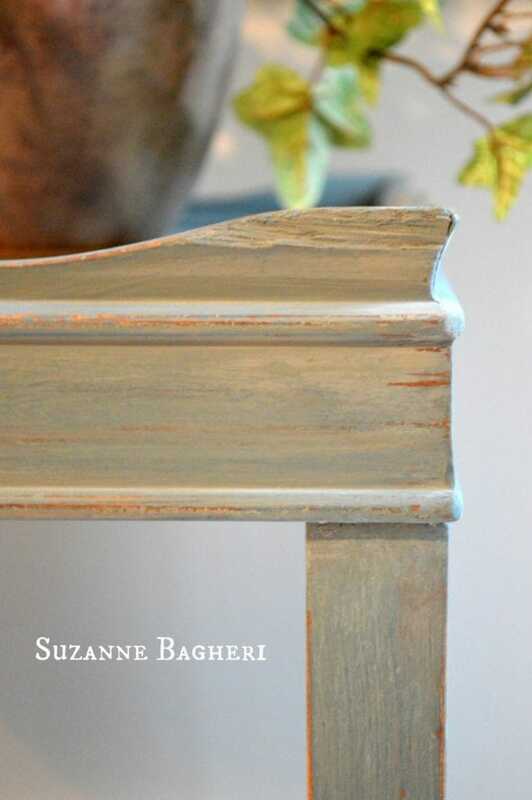 The paint colors you chose for the table pick up the colors in the prints. It creates a nice vignette. Thanks, Debra! I am so pleased with them. It always feels great to find a “deal” at a thrift store! Beautiful color! I will definitely give the color combination a try. That is a great tip Suzanne – thanks! I’ve never added paint to clear wax but I can think of so many ways this technique would add so much to a piece, let alone save on the pocket book from buying colored waxes. Your table is very pretty and works well with your prints. Can’t beat those prices! Hi Marie – yes, it is a good technique. It adds a little bit of color but I do find that I still need to clear wax after it. I am wondering if I melt the wax first and then add the color that it might apply better. I am going to try it this week and see the results! This looks fab. Can I ask, how did you get the aubusson blue to lighten up with the wash but remain blue? 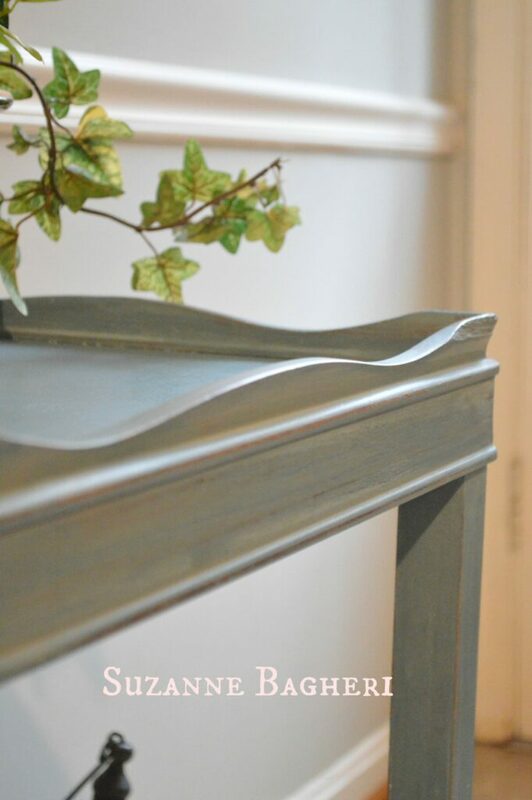 Ive tried and it looks grey and then very provence in colour once Ive added the tinted wax. I was very inspired by your work to try myself. Hi Sarah – it was exactly as I show in the videos. I will upload the last one tomorrow to share which may help you a bit. It was basically one coat FLorence, wash of Provence, another (lighter) coat of Florence and then I kind of swirled the Aubusson on top. I then sanded it all with 220 grit and used clear and dark waxes. I didn’t use a tinted wax (but that actually is a great idea and may look really good). I would suggest playing around with it some more. If the Aubusson isn’t blue enough. swirl a bit more onto it. I hope this helps! I also let the colors dry pretty much between coats except the last step – the Florence was almost but not quite totally dry when I added the Aubusson.